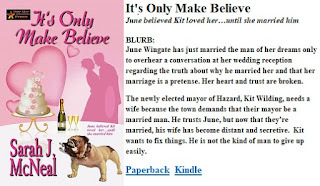 It's Only Make Believe #blogabookscene #PrairieRosePub. For years I have written about the Wilding family in the fictional town of Hazard, Wyoming. The saga began in a time travel story with Joe Wilding and his adopted, part Lakota, brother, Banjo. 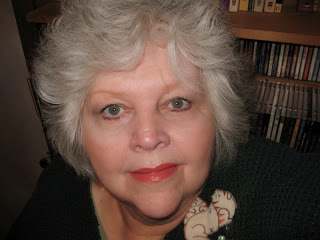 I loved them so much I began to write about their children, and then their grandchildren. They were my family and my friends. I cannot see pictures of Wyoming or hear about the state without thinking of my Wildings. I enjoyed having the Wildings help each other out of tough situations. Through these stories they counseled one another and shared their hopes, dreams, and burdens. They supported each other and fought for each other. And they had no problem speaking their mind when they thought a family member was about to derail. And now I have come to the last Wilding story with their part Lakota cousin, Kyle Red Sky. He is the wisest of the Wilding clan and he has a special Lakota gift. I have written Kyle into several previous stories in which he has lent a hand to another Wilding in trouble. He has given wise counsel to his cousins on occasion, and he has warned them when he knew, in his mystical way, that trouble was coming. And now, for my final Wilding, I am telling Kyle’s story. Of all the Wildings, Kyle is the most deserving of happiness. To make this last book special I have included scenes here and there in which each of the Wilding clan from previous stories shows up. I included Joe and Lola Wilding who are now the elders of the tribe. I wanted to let them all say goodbye. Kyle has always been dear to my heart and it was my desire to show his depth of character in this last story. I hope I succeeded. 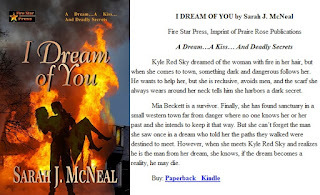 Kyle Red Sky dreamed of the woman with fire in her hair, but when she comes to town, something dark and dangerous follows her. He wants to help her, but she is reclusive, avoids men, and the scarf she always wears around her neck tells him she harbors a dark secret. Mia Beckett is a survivor. Finally, she has found sanctuary in a small western town far from danger where no one knows her or her past and she intends to keep it that way. But she can’t forget the man she saw once in a dream who told her the paths they walked were destined to meet. 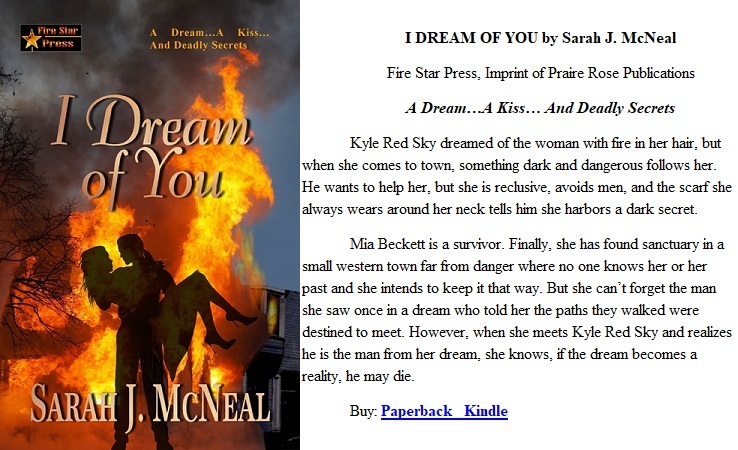 However, when she meets Kyle Red Sky and realizes he is the man from her dream, she knows, if the dream becomes a reality, he may die. As he reached the landing of the second floor, he heard someone cough nearby. With the wet blanket wrapped around him he rushed toward the direction of the cough until he found the woman lying on the floor almost unconscious from smoke inhalation. 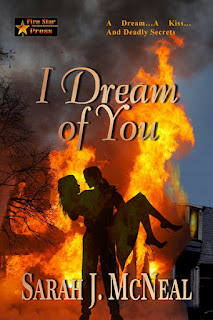 As soon as he removed the wet blanket he wore and wrapped her in its protective layer, he scooped her up in his arms to carry her away from the flames and smoke. The scarf she wore fell away from her neck and her head lolled back against his chest to reveal a thin, straight scar that ran all the way across her throat from her left ear to her right. It wasn’t an old scar, most likely no more than two or three months in the past. She attempted to raise a hand as if to cover her throat and replace the silk scarf. He’d always seen her wear a scarf of some description or another around her neck since her arrival in town. Now he knew all those scarves were not her unique sense of fashion, but her desire to hide the scar. She was a woman attempting to keep a secret. In a whisper he could barely hear, she said, “Please, don’t let them see.” And then she fell unconscious. “You have my word.” He knew there was little chance she could hear his promise, but it didn’t matter.